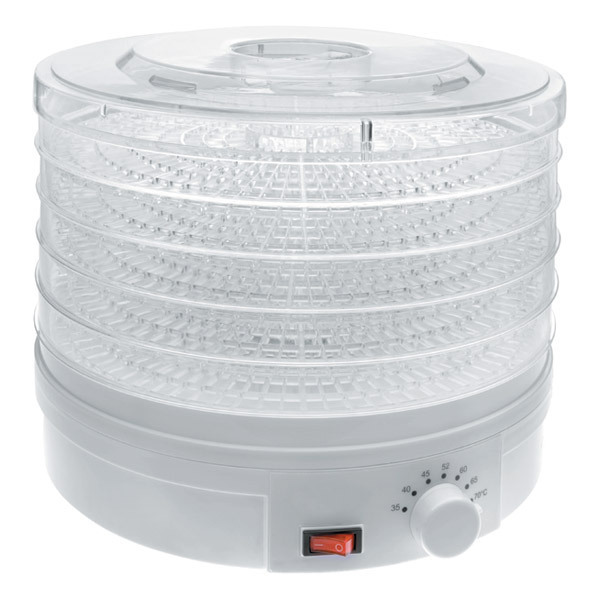 Dry out fruits, vegetables, herbs, flowers, meats or fish easily and efficiently while preserving all their nutritious and flavoursome qualities with this 5 Layer Food Dehydrator. - 32cm diameter plastic body. - 5 tray levels for separate drying. - Adjustable temperatures between 35°C - 70°C.